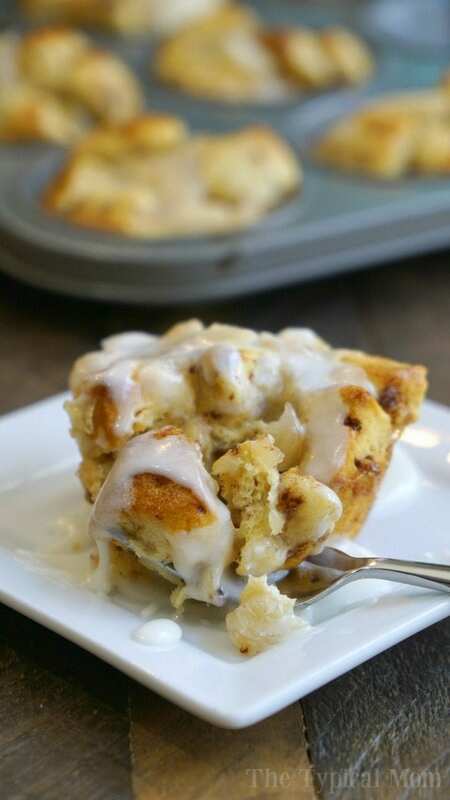 These 2 ingredient apple pie monkey bread muffins are amazing! A quick breakfast or dessert that just takes 15 minutes to make. You’ve got to try them! They are SO simple to make with just 2 ingredients and inexpensive too. They’d make a perfect weekend breakfast, dessert, or addition to any brunch too! I say they are not just muffins but monkey bread too because you could easily throw out the forks and just eat with your hands since it pulls apart easily, and are fun to eat! I love simple and something that only needs a few ingredients. Looking for more easy monkey bread recipes? 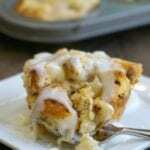 These 2 ingredient apple pie monkey bread muffins are amazing! A quick breakfast or dessert that just takes 15 minutes to make. You've got to try them! Cut cinnamon rolls into 9 pieces per roll and put into a bowl. Empty pie filling into the same bowl. Use a knife to gently cut the larger pieces of apple up into smaller pieces. Spray a muffin tin well with non stick spray. 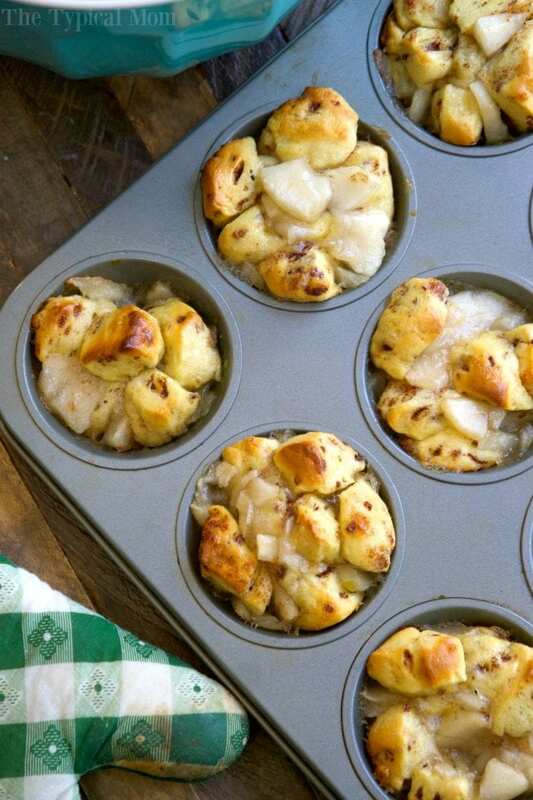 Spoon apple pie monkey bread mixture into muffin tin holes, there will be exactly enough to fill 12 muffin tin holes. Move oven rack to lower level and put into oven at 350 for approx 20 minutes (400 degrees for about 14 minutes) or until cinnamon roll pieces have browned. Allow to cool for about 5 minutes so they solidify and stay together in muffin form when taken out to serve! I am VERY excited to try your apple cinnamon monkey muffins, but just a little confused on your first step… You say cut each roll into 9 pieces..Do you mean each individual roll or the whole can? And how did you get 9 pieces instead of say 8 pieces? Oh sorry, yes small pcs. for each cinnamon roll so 6-9 pcs per cinnamon roll.